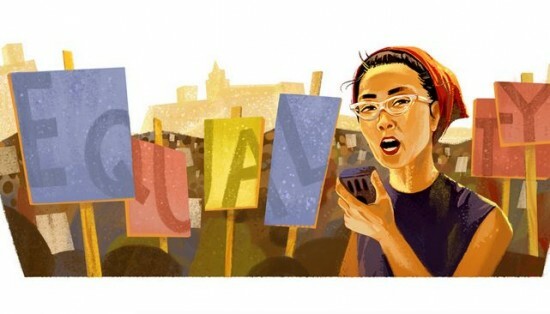 So what Google is passively aggressively saying is they will not honor the people who saved the world from Hitler, but they will honor a woman who converted to Islam and praised Bin Laden as a freedom fighter, and who supported Mao and other revolutionary murderers. Google has a pattern, as we noted on Memorial Day, where they did the smallest possible generic acknowledgment possible. Time for Bing? 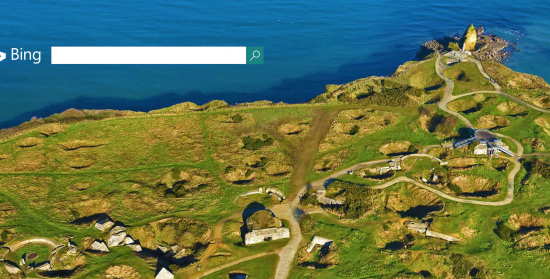 Bing puts up a beautiful simple picture of Pointe du Hoc, so you can click on info tab and look up information about the landing.